BPI Sports, a company known in the industry for launching products that function in a stack loaded with their other products, has another one called 1.M.R Vortex. It is a pre-workout supplement that aims and touts to enhance your workout functions. In general, BPI Sports formulates many kinds of supplements for fitness. This includes post-workout and intra-workout supplements, fat burners, and proteins. 1.M.R Vortex is a new line of a pre-workout supplement from the company. If you look at its ingredients, 1.M.R Vortex is a typical pre-workout product. Like other pre-workout supplements, it mainly consists of stimulants, blood circulation enhancers, and components for significant energy increase. 1.M.R Vortex by BPI Sports costs $1 per serving, which is the average cost of many pre-workout products. As mentioned, we think 1.M.R Vortex has nothing distinctive about it to offer. It basically is just like any other pre-workout supplement out there. So, the question is: Is there anything unique about it at all? Or are we looking at a product that’s a commonplace in the market. The primary component involved in this supplement is Glycerol. Basically, this constitutes to sugar and alcohol. This ingredient features a hydrating impact, which can be useful for athletes who need more endurance. In a pre-workout blend, glycerol aids as catalyst for increasing the endurance of the consumer. It also aids in the facilitating of temperature control and it boosts one’s exercise capacities and overall performance while exposed in heat. The bottom line is, however, is that glycerol only aids in the retention of water for a longer period of time, so that you can avoid being dehydrated. Because 1.M.R Vortex by BPI Sports offers their supplements in stacks, it wouldn’t be shocking to find this supplement in the same container with other products manufactured by the company. BPI Sports 1.M.R Vortex is more well-known among endurance athletes than it is among recreational athletes. This is because its main point is for retaining water in the system in order to ensure that users don’t experience the effects of dehydration. Does BPI Sports 1.M.R Vortex Work? 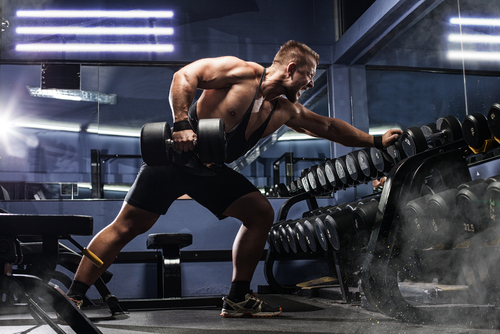 The combination of stimulants and nootropics are anticipated in a pre-workout mix. According to consumer feedbacks, it seems that the content of stimulants and nootropics are not that strong. This means those individuals who are sensitive to stimulants can still tolerate taking this supplement. You can look forward to experiencing a small boost in terms of alertness and strength, as well as a slight increase in stamina. Moreover, BPI Sports 1.M.R. Vortex features a delicious taste with its flavoring. In the testimonials we’ve read, most users were appreciative of the supplements taste more than its actual effects as a pre-workout supplement. Still, it’s great that customers love how it tastes. It makes it easier to drink. If you’re into tasty pre-workout supplements, then BPI Sports 1.M.R. Vortex can maybe satiate your needs. Based on numerous customer reviews, the taste of the supplement is well appreciated. So, if many users love the taste, chances are you probably will, too. Since this supplement is pretty much typical in terms of its composition with the ingredients content not so high, you should be safe from side effects that are usually caused by high content of stimulants. 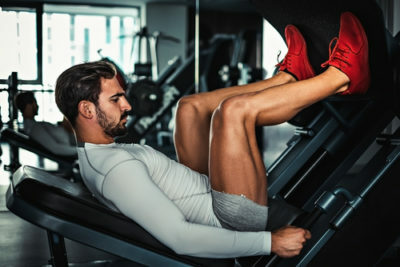 However, if you’re keen in getting solid results in terms of strength and alertness, you can look for something stronger because this supplement is pretty mild in its effects. You can also use BPI Sports 1.M.R. Vortex alongside another supplement that focuses on increasing the user’s power, stamina, and the body’s mechanism for faster recuperation.